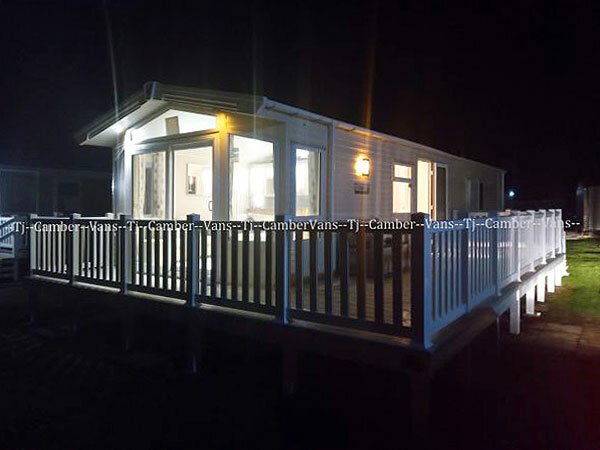 We are offering to let out our family holiday home, our caravan is double glazed, with eco hot air heating, Our Salsa Eco is a 3 bedroom 8 berth caravan with private parking and gated decking and contains all needed to have a happy, relaxing, holiday for couples or family's. Myself and my partner both have memories of camber sands as children. and now, as parents ourselves, we wished to give the same to our daughter. we hope to be able to offer other the same opportunity too. -Dates listed are school holidays only. Other dates are avaliable even if not show. 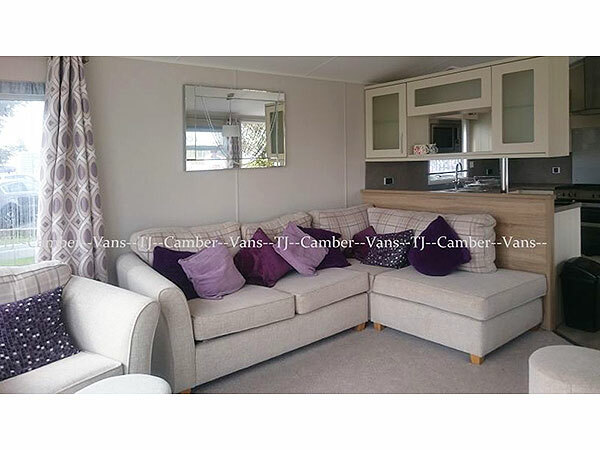 This is an extra wide caravan with all the comforts from home including a fully equipped kitchen and a flat screen TV with Freeview in the lounge for cosy nights in. You will also find double glazing and Eco blow heaters with gas fire for extra warmth. 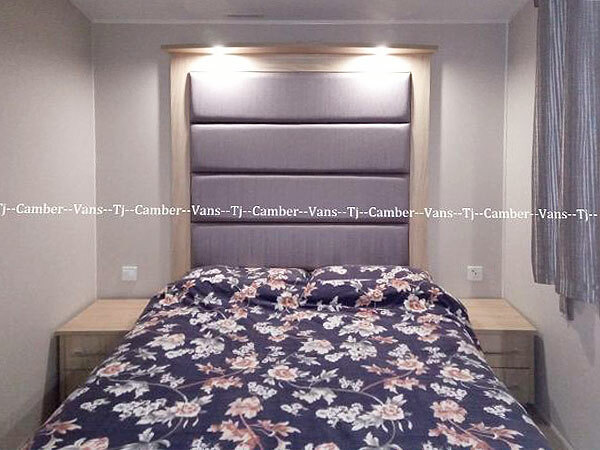 living room/diner : consist of: comfortable L shape seating and storage /dining table and seating/ television with USB connection and built in DVD player / gas fire place/ shelving. 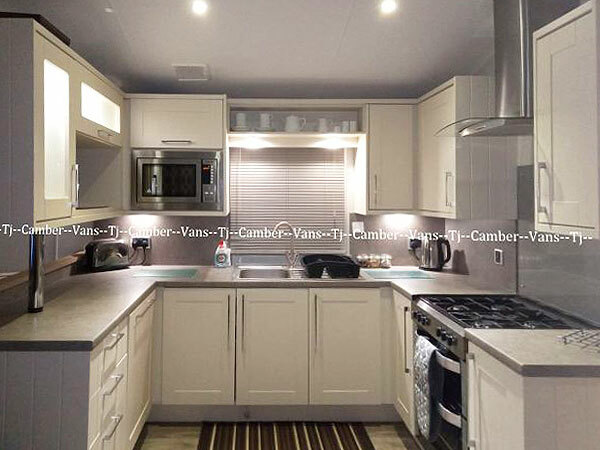 kitchen: Gas oven and hob / Microwave / Toaster / Electric kettle / Fridge with small freezer compartment / Pots, pans, trays, cooking utensils, knifes, chopping boards / Cups, glasses, beakers/ Plates, bowls, egg cups, cutlery. 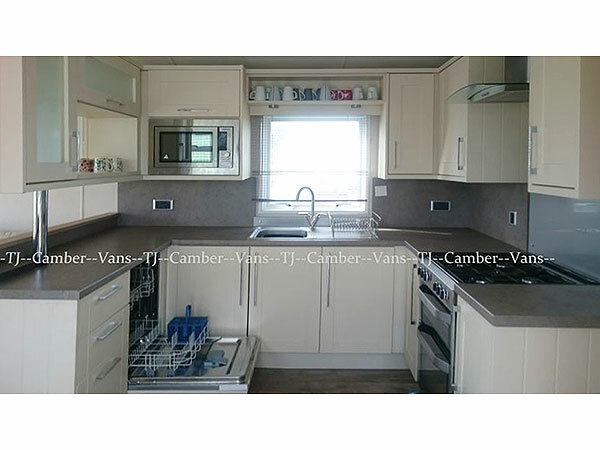 / Adequate work surface, bread bin /storage. Fire extinguisher/ First aid kit. 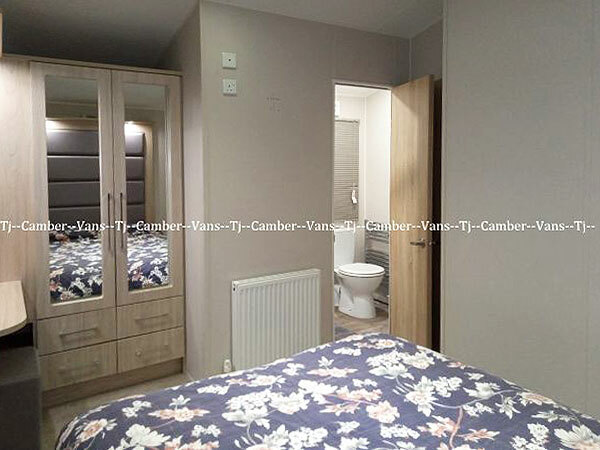 hallway: Smoke alarm/carbon monoxide detector access to all three bedrooms / toilet / toilet,shower. 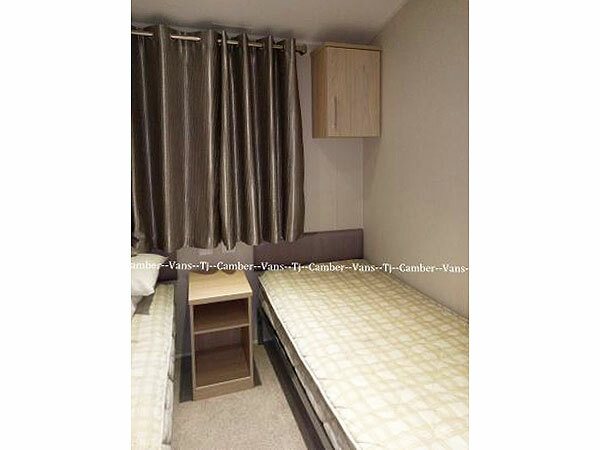 Double bedroom: double bed / wardrobe/ draws / shelves / mirror / hair dryer / ironing board / self controlled blow heaters. 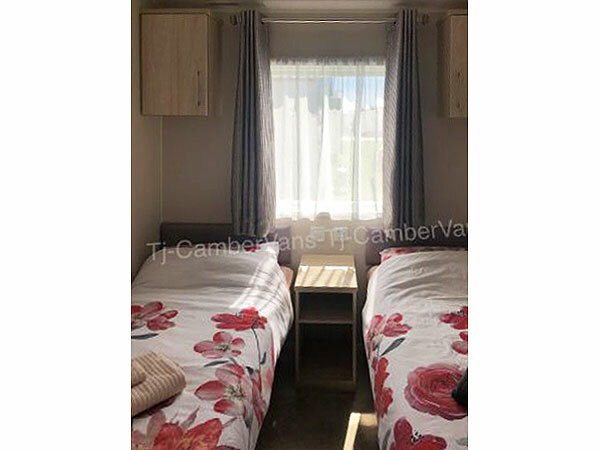 both other bedroom each consists of 2 small caravan single beds. wardrobe / cupboards / mirror. self controlled blow heater. We can also provide a travel cot and high chair if requested in advance. All bedding is also included. Duvet, and pillows. Freshly laundered bed sheets,covers and pillows cases. Which are made up for arrival. towels, hand towels and tea towels. If you would prefer to provide your own bedding and towels please let us know. WiFi. Although we do not have WiFi at our home. 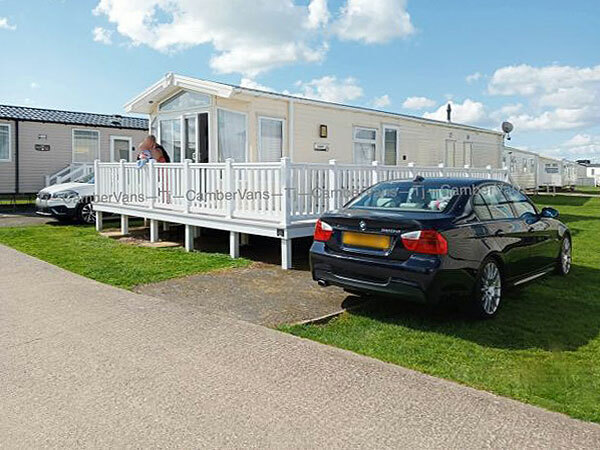 Day / weekend / weekly and monthly passes are available to purchase on your devices in the caravan through wifinity PAYG Internet or is available free in parts of the entertainment complex. -Guests will be required to accept and sign our term and condition before receiving booking comfirmation. -£50 deposit is required to reserve dates. 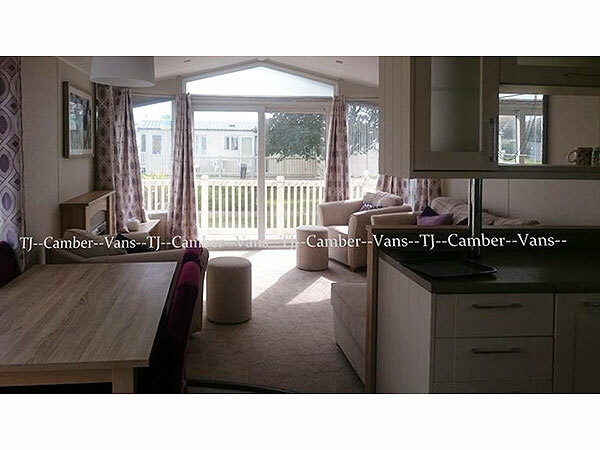 -£100 refundable damage/theft deposit is required in addition to the advertised holiday price. Refund will be -processed after cleaning/ inspection and within 7 days . -Personalised payment instalments are accepted. -Full amount due must be paid 28 days prior to the holiday start date. 7th April - 22nd April & 26th may -1st September are £71 per week / £54 per short stay. All other dates will be £48 per week and £36 per short stay. we can arrange this for you at request however payment must be made in advance. 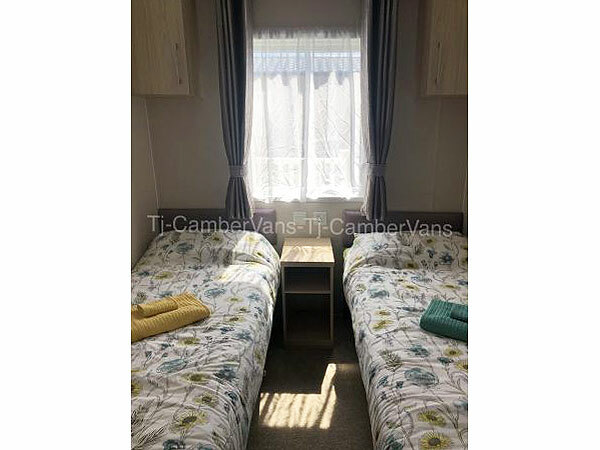 -Although we do supply towels, this is for use within the caravan, guests are required to bring own towels if wanting to use swimming pool and beach. -We are totally aware and understand that accidents can happen, we do ask that any kind of damage / breakages are reported to us and not attempted to be hidden. And to be reported as soon as possible and not at the end of the holiday, so as to be able to arrange repair or replacement prior to the next guests arrival. 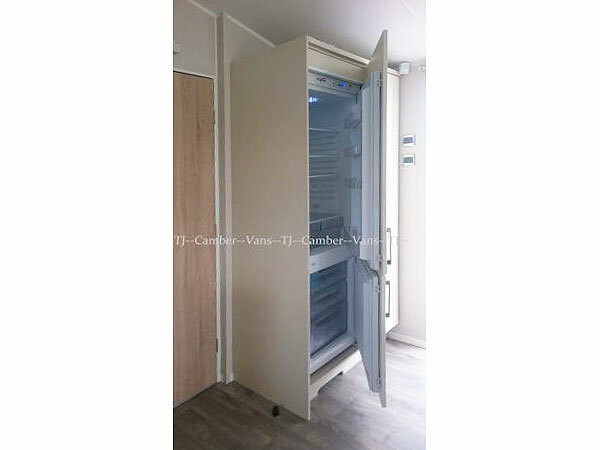 -No items that we provide within our holiday home, are to be removed at anytime. -We DO require guest to please look after our belonging and clean/ tidy any items you may use on your stay such as washing up kitchen items you may use. (we do supply all products to do so i,e washing up liquid, sponge, cloths and tea towels as well as bin's. -Gas and electric is included in the price, however please note this is on the term of a fair use basis. On most occasions we will be available to greet you for check in / key handover as well as go over any question/information and queries. if this is not possible we will let you know on alternative arrangements made. -As we have provided a wide check in time window. (from 3pm till late) we do request some communication with a estimated planned time of arrival and a quick message if this time dramatically changes please. -We do ask for guests to please be respectful of our neighbours, park rules & guest as well our property. Thank you.